It's "deja vu" all over again as Lum and Ataru must repeat their game of Oni Tag so that the Earth will be saved from destruction. 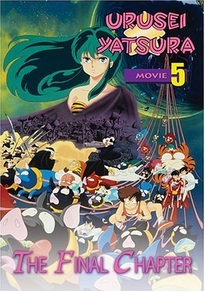 All Ataru has to do to win is say "I love you," the three words he has steadfastly refused to say to Lum. Does he have it in him to admit his true feelings and save Earth? Or will his pride doom the planet to ultimate annihilation?